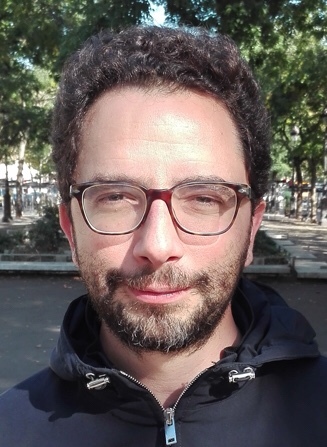 Marceau Coupechoux, professor at Telecom-ParisTech, and adjunct professor at Ecole Polytechnique – and, thus, in addition to being a good friend, also a good colleague – has conspired with two of his collaborators (A. S. Bedi, K. Rajawat) from IIT Kanpur to produce a paper “An online approach to D2D trajectory utility maximization problem”. It’s perhaps not that remarkable that a bunch of academics produce a paper – what is remarkable is, however, that it has been accepted at the aspirational conference INFOCOM. Well done, Marceau & team! (Paper #254 on this list). The paper is interesting – and, almost, has a sociological aspect to it: it observes that people have become so addicted to connectivity, that they’re willing to sacrifice other things to stay connected to the on-line game, or social network, du jour. 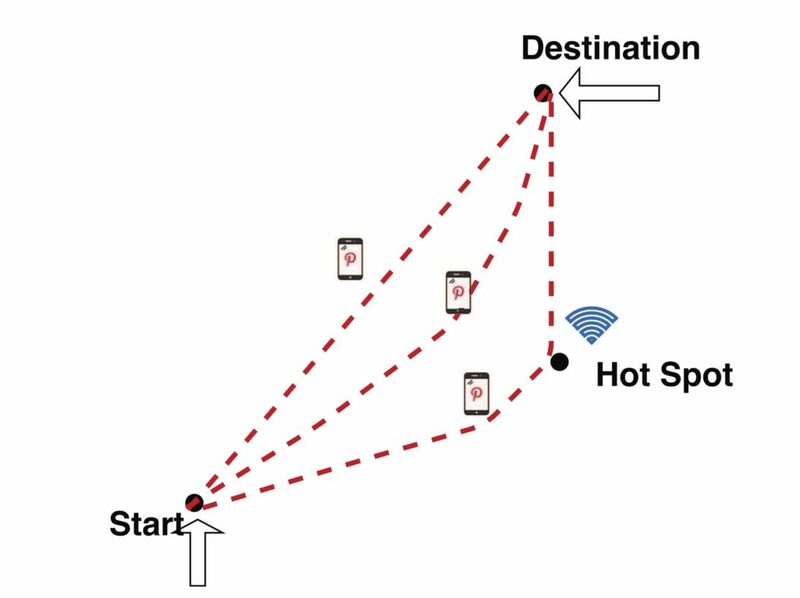 Thus, pedestrian users with mobile devices, connected with each other through a direct (peer-to-peer, bypassing the cellular infrastructure) wireless communications link may be willing to deviate from their intended trajectory so as to maximize the ability to utilise that link for whatever their purpose … while, of course, being able to hand off the connection between them through a cellular infrastructure so as to ensure that each pedestrian user will reach her intended destination without a too significant delay. As Marceau and his colleagues distinctly are not sociologists, they do study this as an optimisation problem, and the paper provides an interesting approach allowing on-line optimal (with respect to the stated criteria) trajectory calculation approach.